For in-store inquiries, use sku #2463036. 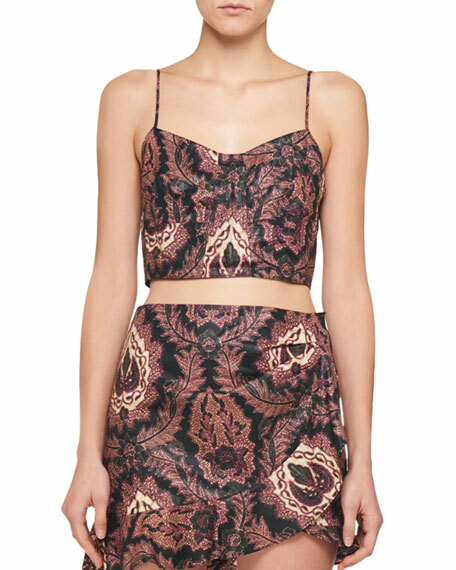 Chloe floral-print viscose top. V neckline; lace bodice. Cami straps. Easy fit. Slipover style. Ruffled hem. Lining, acetate/cupro. Imported. 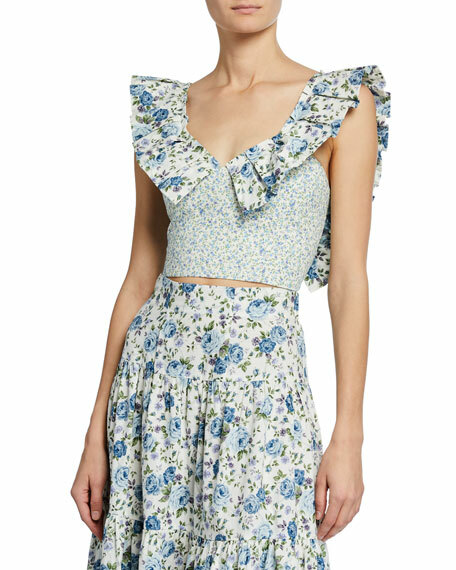 Petersyn "Sybil" floral-print top with pleated trim at the neckline. V neckline. Sleeveless. Smocked back. Cropped hem. Exposed back zip. Cotton. Made in USA of imported material.